The (apparently) Scouse-Chinese flavour sensation is taking over Yard & Coop from Thursday 26th July and for the rest of the summer. Word has it that it was first knocked up in Chinese takeaways in Liverpool as a way of giving chip shop chips a little Chinese upgrade. Soon it spread across the country and now it’s made it’s way to Yard & Coop and the fried chicken we’re famous for. We set about coming up with our own take on salt & pepper and, not to brag, it’s delicious. Made with green pepper, onion and red chilli its sweet, its salty, its spicy, its garlicky and once you start eating it you simply cannot stop. We love it so much we wanted to cover the whole menu in the stuff but somehow we managed to limit it to three amazing dishes. First there’s our take on the classic Salt & Pepper Chips, a little like you’ve had before but with that extra Yard & Coop twist from our home-made sauces. Then our always delicious falling-off-the-bone Chicken Wings are taken to another level now we’ve salt and peppered them up. 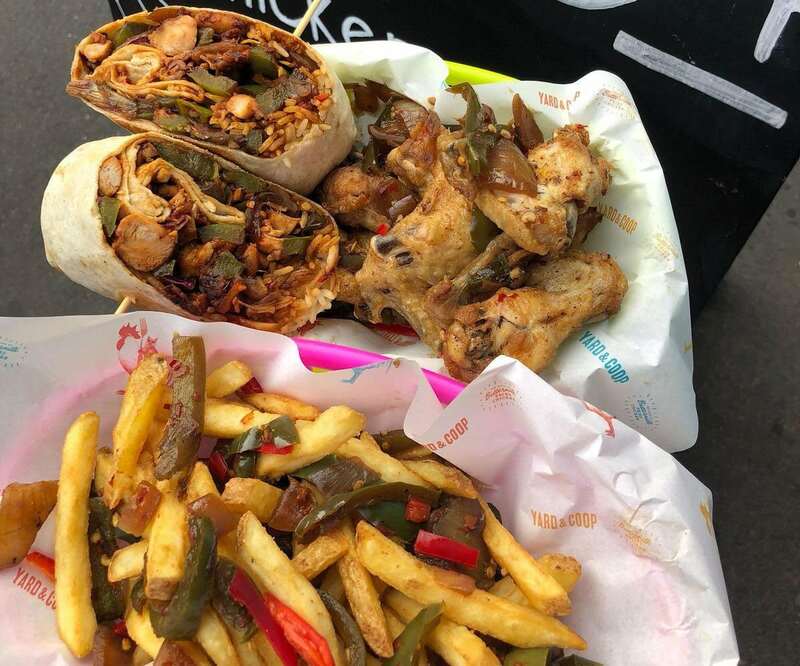 And finally there’s the new Salt & Pepper (W)rap; an amazing combination of mouth watering salt & pepper chicken, rice and Asian style slaw, slathered with a couple of home-made sauces and all rolled up in a tortilla wrap. Get yourself down to your nearest Coop from 26th July. Salt and pepper’s here all summer but get some soon because there’s no way you won’t be back for more.